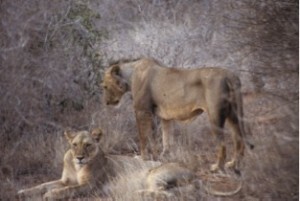 I worked with Bruce Patterson studying the maneless lions of Tsavo, Kenya. 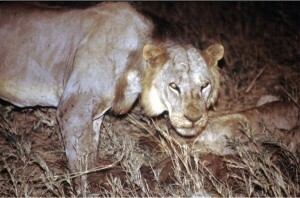 We showed that this population of lions is unique in the the males don’t grow large manes, but have smaller scraps of hair appearing as mow hawks or sideburns, or sometimes none at all. Two of these lions are famous (like Hollywood movie, get your own museum exhibit famous), for killing and eating 100+ railroad workers in 1898. Modern lions still cause trouble in this area, and we studied their modern conflict with local cattle ranchers, showing that attacks were more frequent in the wet season, when native prey are difficult to hunt, and take about 2.4% of the annual stock of the ranch. 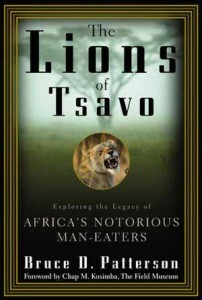 Bruce also wrote a book about the lions. 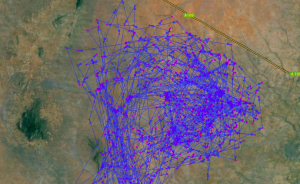 Tracking data from our project is available here.